Click here to order it online in paperback, hardback, or as an e-book. 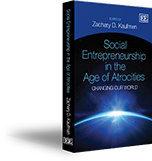 This page provides an extensive list of social entrepreneurship resources and institutions, including books, foundations, fellowships, academic institutions, journals, blogs, conferences, competitions, networks, and other online resources. You can search the entries by category (through the drop-down menu to the right) or they are listed in alphabetical order (below). If you would like to suggest an additional entry, please do so through the contact form. BooksFarmer, Jane, Carol Hill, and Sarah-Anne Muñoz (eds.) (2012), Community Co-Production: Social Enterprise in Remote and Rural Communities, Northampton, MA: Edward Elgar. BooksFayolle, Alain and Harry Matlay (eds.) (2011), Handbook of Research on Social Entrepreneurship, Northampton, MA: Edward Elgar.